This soup right here is a hearty onion/miso broth spiked with beer. It’s savoury but sweet. This dish is delightfully simplistic, and although it does take a bit of time the brown off the onions, this soup doesn’t take a lot of effort. Just a gentle stir whilst you contemplate your recent life choices (crap choices if they’re anything like mine lately) and enjoy a cheeky swig of beer for yourself. 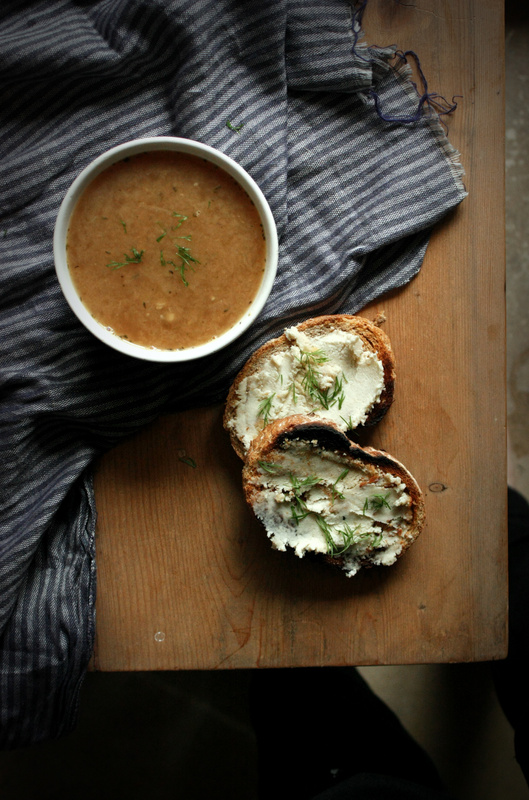 I suggest serving with some sourdough toast, or maybe vegan cheesey croutons like is done with the classier cousin of this soup, french onion, that would work great! 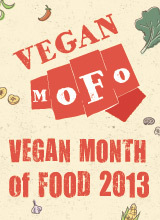 Here however, I opted for some baked almond feta from Maple Spice blog. Saute the onion in the olive oil over a medium low heat until the onions start to brown/caramelise , stirring often. This may take a while,20mins-ish , but WORTH IT. once the onions are just starting to brown add the garlic and saute a little longer, add the vinegar and scrape around the bottom of the pan, then add the beer, miso, herbs and salt n pepper. Bring up to a simmer and simmer until the soup is fragrant and the onions are really soft. about 15 mins. Using an immersion blender partially blend the soup. or blend fully. or don’t blend at all. whatever makes you happy. but I recommend partially blending it the first time you try this recipe, then decide if you want it with a more chunky or smooth texture, its your soup at the end of the day…. 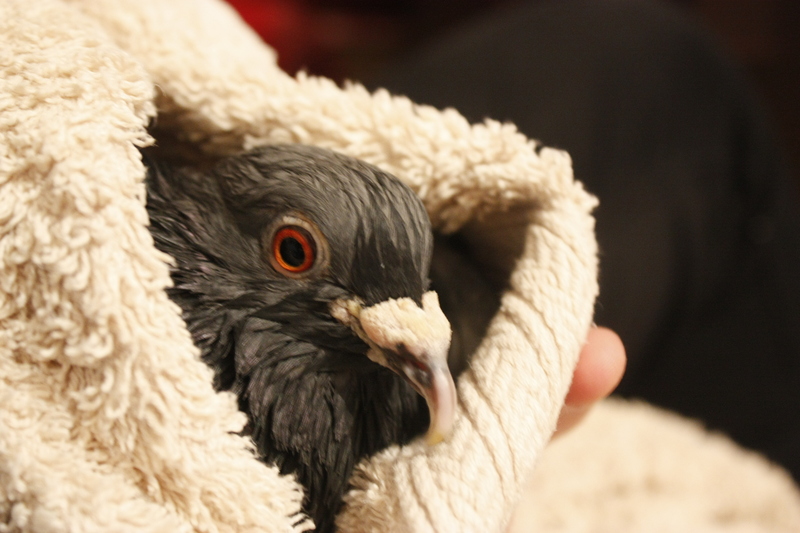 Oh and heres another picture of my pigeon… he had a bath…. This entry was posted in soups and stews and tagged dairy free, easy vegan, easy vegeterian, egg-free, food, gluten free, recipe, recipes, simple, tasty vegan mains, vegan, vegan meals, vegan one pot, vegaterian, vegetarian, vegeterian. Bookmark the permalink. Looks delish and love your pigeon;) How cute! Oh, wow! Another great soup recipe. I just ate at Porter House in Toronto, and they served the most delicious beer gravy! I’m definitely trying this! what is the portions of this? or how much does it make?